Here at August, Lang & Husak we believe in “Good People, Great Work.” We strive to create this great work every day in order to improve the human condition. Recently, we were discussing the work nonprofits do—with a particular emphasis on music-centered nonprofits. We all love music, right? A few of us had stumbled upon unique, interesting organizations that were driven by the power of music, and we were inspired by their efforts. Check out our roundup below. This organization was founded by an amateur cellist, Curtis Peterson, who realized the exorbitant price of new instruments when he replaced his own, worn-down cello. He started the Virtu Foundation in 1998 in order to provide student musicians with instruments they needed in order to achieve their professional goals. Low-quality instruments can prevent a musician from exploring his or her full potential. The foundation acts as a liaison among donors, patrons, and young musicians. Based out of Charlottesville, VA, Virtu has helped many amateurs—over 90 students—reach their professional and career goals. Arriving Somewhere from OneVoice on Vimeo. 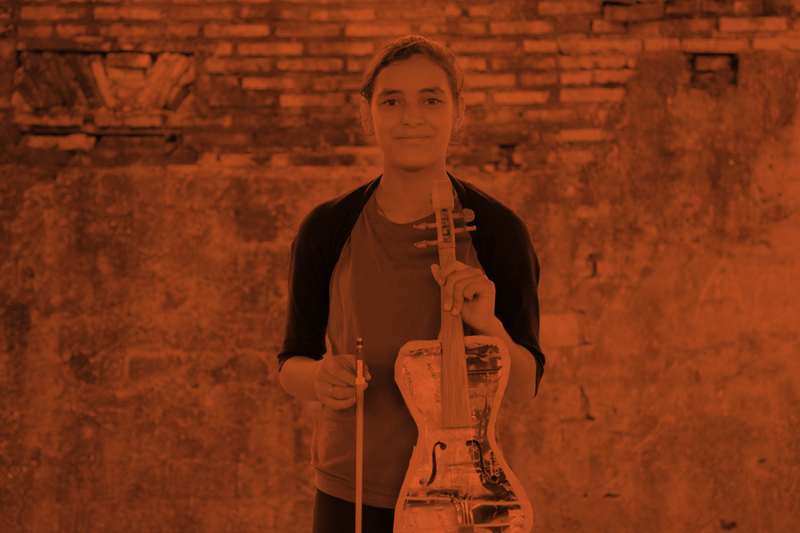 A nation-wide nonprofit based right around the corner in Washington, D.C., One Voice strives to create a sense of community for children around the world using music to unite them all. One Voice travels to various countries partnering with local schools to teach music and collaborate on projects. Most recently, One Voice traveled to India to the American Embassy School and worked with a musical exchange program. The founder, Robbie Schaefer, is a member of the local Northern Virginia band, Eddie from Ohio, and is passionate about creativity, music, and performing. Hungry For Music Promo from Hungry For Music on Vimeo. Based in New Orleans, this musical education program helps low-income students between 9-14 years old. The students of this organization make up a marching band of over 100 members strong. The group performs in parades all across New Orleans with help from the donations made by Hungry for Music. In addition to teaching music and providing transportation, Roots of Music also provides mentors to help students with homework and academics. Derrick Tabb and Allison Reinhardt founded the organization in 2007 and wholeheartedly believe in the influence music can have in a child life. RoM has successfully kept kids off the street, while improving their quality of life through the heritage of music all New Orleanians share. AL&H production manager, Wayne Ctvrtnik discovered Landfill Harmonic while watching an episode of CBS 60 Minutes. Ctvrtnik was fascinated by the premise: “The Recycled Orchestra,” a group of young musicians living in the slums of Paraguay. Even better, the instruments these kids use are made entirely of garbage! Favio Chavez and Nicolas Gomez started making the instruments from trash found in landfills. They extended their efforts by building a music school for the students in Cateura, one of the poorest slums in South America next to the main landfill of Paraguay. The documentary is still in progress, but we’re excited to see how it turns out! These are just a few examples of the organizations we were interested in while discussing the human condition. Next time you’re in the office working, listening to the radio, or even just walking down the street, take time to stop and hear the music all around you. It’s there. And it can create great work.